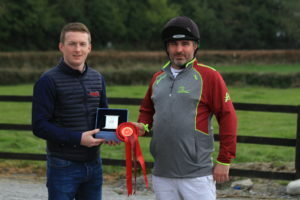 Accuracy was needed to negotiate the course with such a large field seeking the honours but Kilkenny resident was on song to claim the honours for Nuenna Farm. 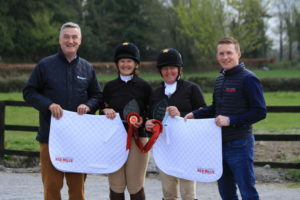 Only two pairs came home on clean sheets in the Intermediate section where Dalysgroves’ Donna Murray (Kiko Temple) and Kevin Clogher (Sin E Sham) took the spoils. 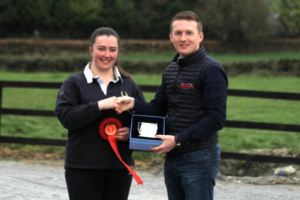 Their time of 6’22 placed them ahead of Jan Boons (Arraghbeg Luidam) and Sinead Boyd (Hollpark Lady) for Slieve Bloom.